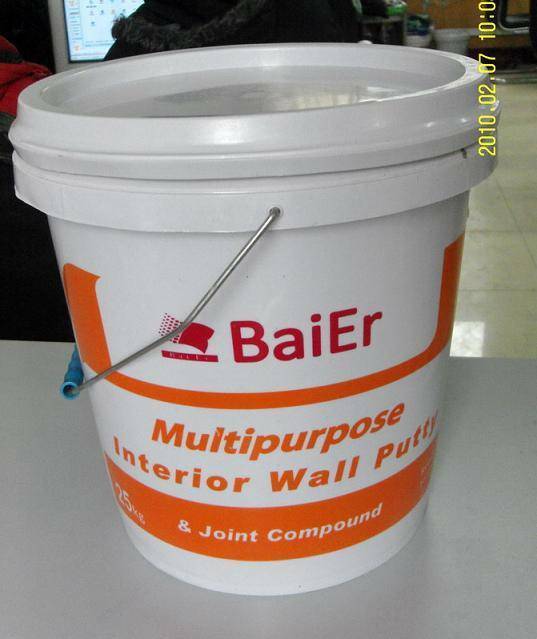 Our "ready-mixed interior wall putty" which works as bace coat on the wall and make the wall very attractive-light, flat and smooth surface, a good base for painting, It made to give a superior finish to the interior walls. A premix single application plaster, it is made of calcium hemihydrate and additives are added to it to improve the performance and workability. This putty works effectively on both even and uneven backgrounds, which means that this interior wall putty can be used for both fine surface finishing and thick base plastering as per the requirements. 3) Easily available and efficient to apply it on the wall directory. 1)This product is suitable for all the coats for hand and machine application. Slightly stir Before use and directly apply to plasterboards or interior wall. 2)the interior wall or plasterboard surface must be clean, smooth and firm, dry and without dust or oil.